Tom Boonen said he had no regrets after the final race of his career ended in a disappointing finish at the prestigious Paris-Roubaix. 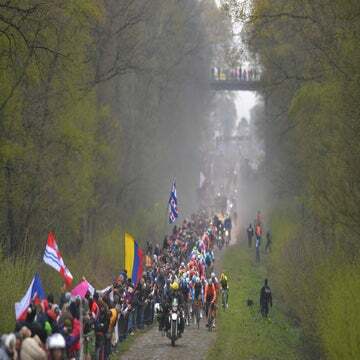 ROUBAIX, France (AFP) — Tom Boonen said he had no regrets after his final race as a cycling professional ended in a disappointing 13th-place finish at the prestigious Paris-Roubaix. The ‘Hell of the North’ was the race that made Boonen a legend more than any other but he was unable to bow out with an unprecedented fifth victory as Belgian compatriot Greg Van Avermaet (BMC) triumphed for the first time. 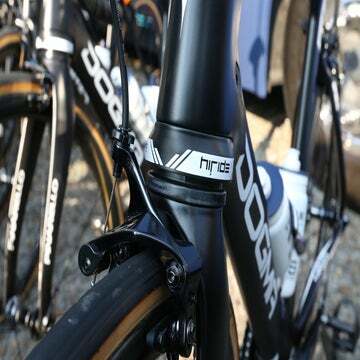 At 36 years of age and after winning more than 100 races during his career, Boonen said the time had come to hang up his bike. “The last few weeks it has been a rollercoaster of emotions and everybody seems to just be enjoying every last minute of racing that I’ve been giving them, even if I didn’t win,” said the popular Quick-Step leader. One-day specialist Boonen has claimed victory in many of the sport’s biggest races, being world champion in 2005, claiming the Tour de France green sprinters’ jersey in 2007 and earning seven ‘Monument’ titles (three at the Tour of Flanders and four at Paris-Roubaix). And it was at the ‘Queen of the Classics’ that he ideally wanted to end his career. “For me this is the best race in the world – I love it! And also it’s just time for me, I’ve been feeling it already since last year. Such is the high esteem in which Boonen is held that his Quick-Step team dedicated their entire strategy to trying to help him win. Even Czech Zdenek Stybar, who was part of a three-man breakaway that would contest the victory, didn’t start thinking about his own chances until right at the end. “Today we went just 100 percent for Tom. 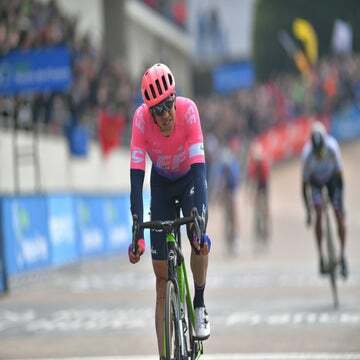 All the team was supporting him and everybody, out of our hearts wished he’s going to win – we did all we could to make it happen,” said Stybar, who finished second. “Before the race I didn’t have the idea to ride for myself or sprint for the win. My biggest dream was to come with Tom here on the velodrome together. Stybar had taken second place two years ago as well and yet he never hesitated for a second to dedicate his efforts to helping Boonen’s ambitions. “Tom’s a very special person, a very kind person, he’s very friendly – if you can you just do anything for him. Now the king has retired, though, Belgium has a new regent in Van Avermaet, the Olympic champion. But the 31-year-old ruled out any hopes of matching Boonen’s incredible achievements. “I looked yesterday to Wikipedia to see all his results – it’s incredible, he’s won four times here and a lot of big races,” said the new champion. “I’m a different kind of rider, more a climber than a sprinter.